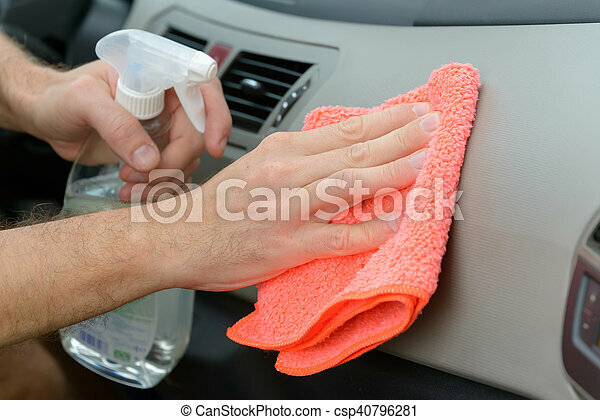 Cleaning car interior. 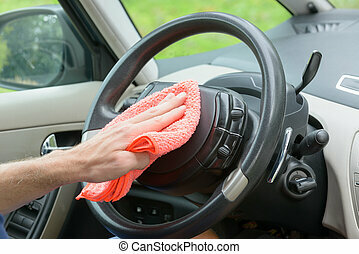 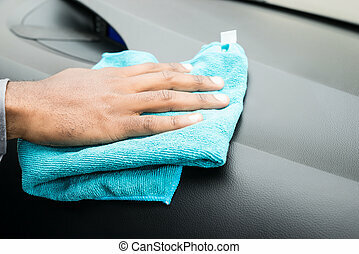 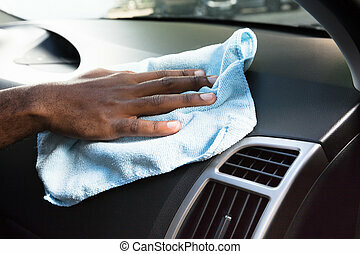 Hand with cloth cleaning car interior. 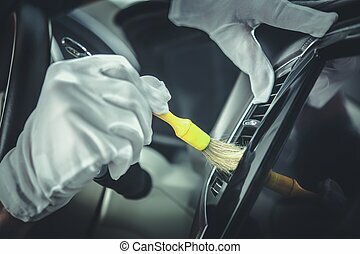 Detailed Cleaning Car Interior Elements Using Special Brush. 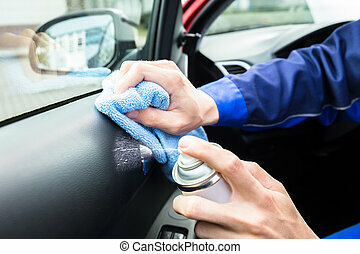 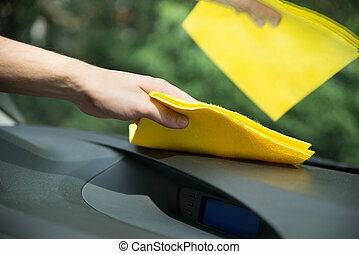 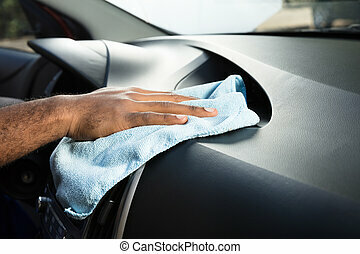 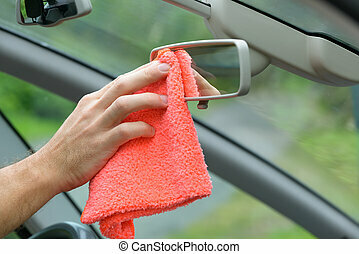 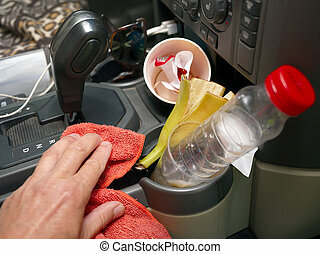 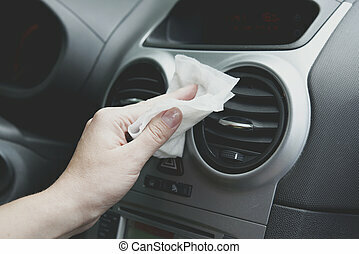 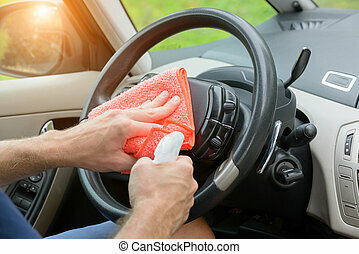 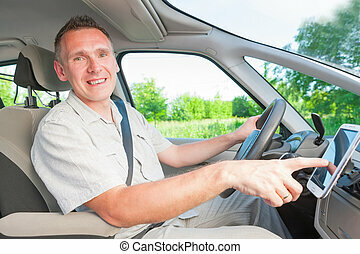 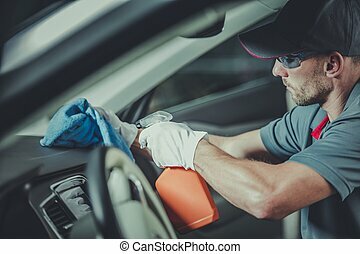 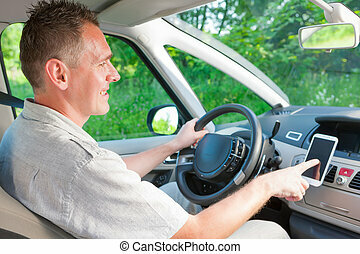 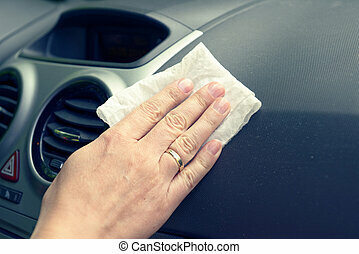 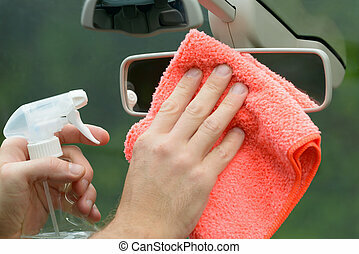 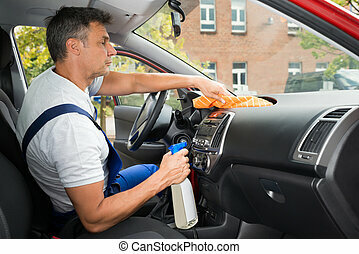 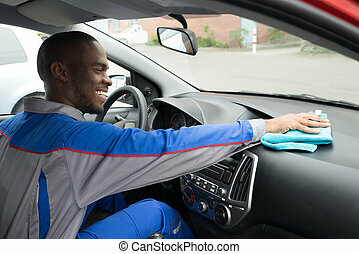 Caucasian Professional Worker Cleaning Modern Car Interior. 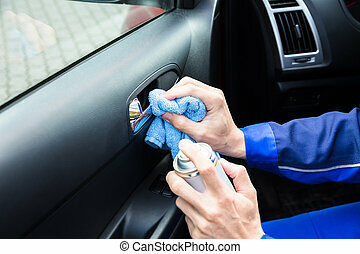 Vehicle Detailing. 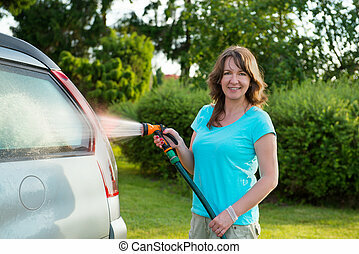 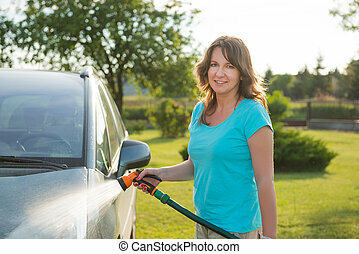 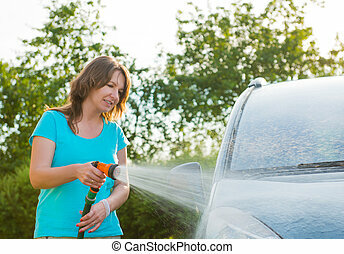 Woman washing her car in garden without detergents in ecological way.